LEN - www.lankaenews.com | President Sirisena , MR and Asgiriya chapter Mahanayake have one and half hour secret discussion ! 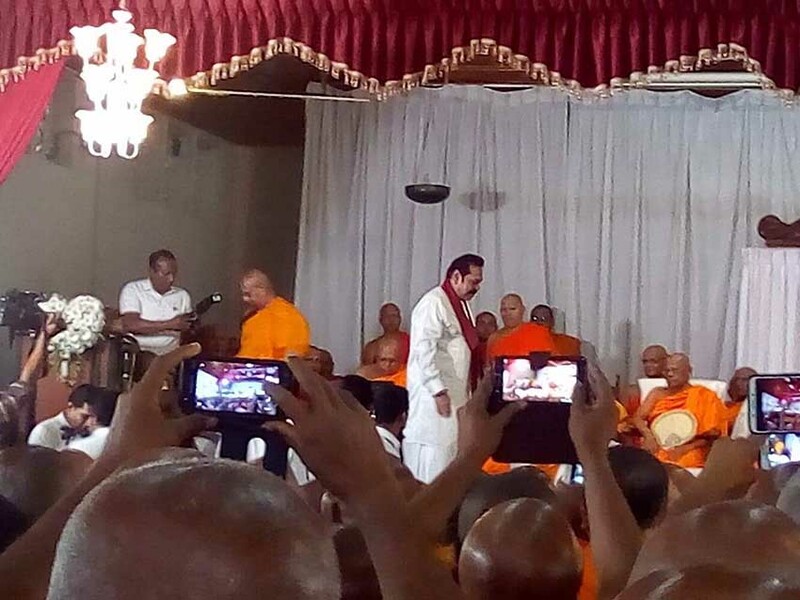 (Lanka e News -16.Oct.2018, 2.30PM) Asgiriya chapter Mahanayake Ven. 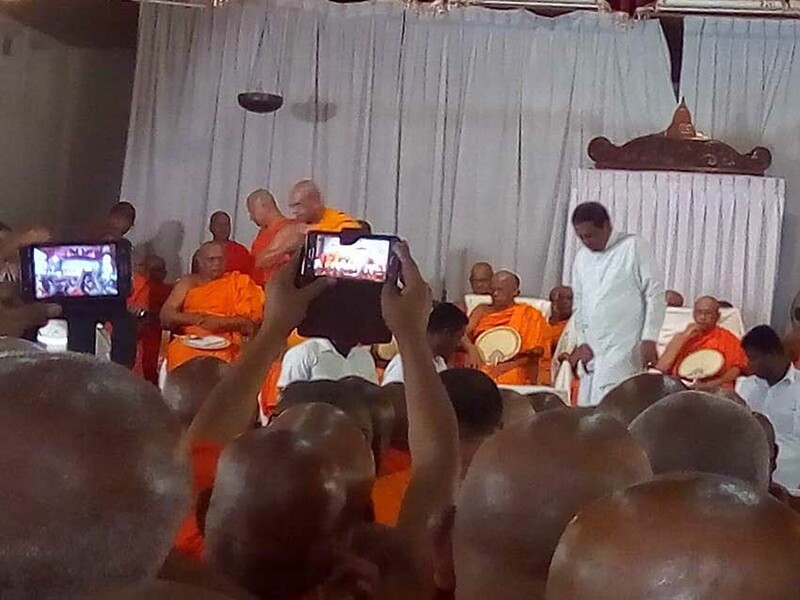 Warakagoda Sri Gnanaratne Thera of the Siyam nikaya summoned president Pallewatte Gamarala and Kurunegala M.P. 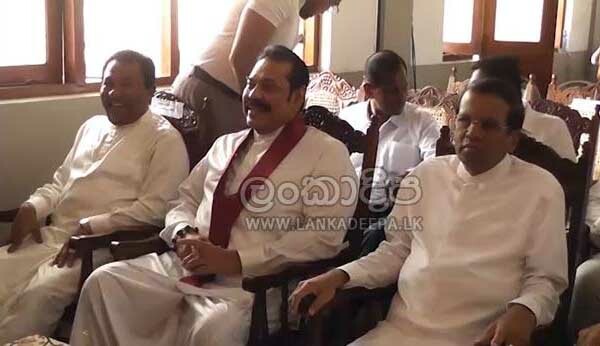 Mahinda Rajapakse (MR) and held secret discussions in his Aawasa mandiraya (not in his official chamber where guests are received ). The discussion lasted one and half hours , based on reports reaching Lanka e News. This discussion was held following the conclusion of the ceremony to felicitate Dambullu Raja Maha Vihara chief prelate on his receiving an award from Thailand, on the 15 th at Asgiriya Chandananda Bauddha Vidyalaya . Both president and MR were invited for this function. According to our reporter , the only outsider to this secret discussion was the Asgiriya chapter registrar . The president and MR after the discussion had not made any statement to the media , and have left the venue each in his own vehicle. It is well to recall president Gamarala recently held secret discussions with MR at the residence of S.B. Dissanayake grossly (which came to light soon after) betraying the 6.2 Million people who elected him to power after discarding corrupt Machiavellian mendacious MR who was thrown out lock ,stock and barrel . Gamarala did not therefore receive a people’s mandate to collude and conspire with MR on the sly at S.B.’s house or any S.o.B. ‘s house. to form a caretaker government .Incidentally and interestingy , though this S.B was also present at the function , he was completely shut out from the secret discussion by the Mahanayake. Perhaps Mahanayake knows better about S.B.s and S .o. B.s . Photo – courtesy Lanka Deepa ;and Lanka e News.